The iconic game is back and better than ever. All you have to do is reach the finish line in less than 10 seconds. Your controls include "Jump & Dash" and "Move Sideways". On your lickety-split journeys, you'll unlock different stick figures. Go on a personal quest and run the race solo or compete against your friends in multiplayer mode. 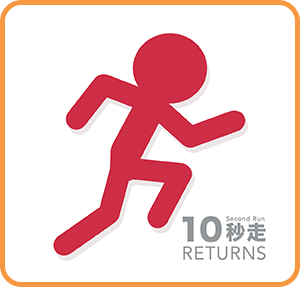 Where can I buy 10 Second Run RETURNS physical/digital?